Why Have an Executive Search Firm Recruit an Executive? Changing hands at the executive level can cost companies thousands of dollars and valuable time if not implemented seamlessly and efficiently. As former executives in the long-term healthcare industry, MedBest experts have witnessed entire teams disband after an unequipped executive was hired. It is crucial that incoming senior level management fit the culture and vision of the company. Quick hires to patch a position can lead to disastrous long-term results. Employee disengagement not only affects productivity, but also costs businesses on average more than $2,000 per employee, per year. The cost of hiring the wrong employee only to lose him or her entirely increases this number exponentially. Wasted money, wasted time and subsequent dwindling profits can all be avoided by using MedBest experts to fill your management positions. We understand senior healthcare facilities need to fill positions quickly. Because of this urgency, search quality can get compromised. That’s why many businesses in the healthcare industry look to an executive search firm to fill important leadership roles. On average, we usually fill positions within 40 days with a nationwide above average long-term success rate.  MedBest specializes in finding highly sought after executives in the senior healthcare industry through either our MedBest Advantage or MedBest Premium service. The majority of our candidates are not in need of a job, but instead seek a more fulfilling or challenging career experience. Our experts have an extensive background encompassing over 80 years in the long-term healthcare business. We use our knowledge to thoroughly screen and interview each of our candidates. We carry out an uncompromising 25-step process to provide our clients with the best fit for their position. First, an interview is conducted with our client to determine specific job requirements, objectives, and to gain a complete understanding of the business and its culture. Comprehensive background and reference checks are conducted. We thoroughly screen each and every candidate through multiple interviews and personality testing. We whittle down the prospects and present only the most qualified selections. On average, our clients only need to interview two candidates before making an offer. Our team then strategizes with clients on the best fit for their business. We are highly selective on the recruits we present and choose quality over quantity. Usually a client interviews only two candidates before an offer is discussed. Once an employee is selected, he or she is debriefed and welcomed to a long-term career. We continue to follow-up at the one and three month marker to check that the new hire and client are satisfied. These steps are included in our MedBest Advantage search package. Taking placement a step further, MedBest Premium includes comprehensive personality testing to ensure long-term success. Contact us today to find the perfect executives for your senior healthcare facility!